The ROP primer protocols enable the packaging and transmitting of data between clients and servers. The storage and retrieval protocols enable the storage and retrieval of messages related to calendars, tasks, and personal contacts (2). 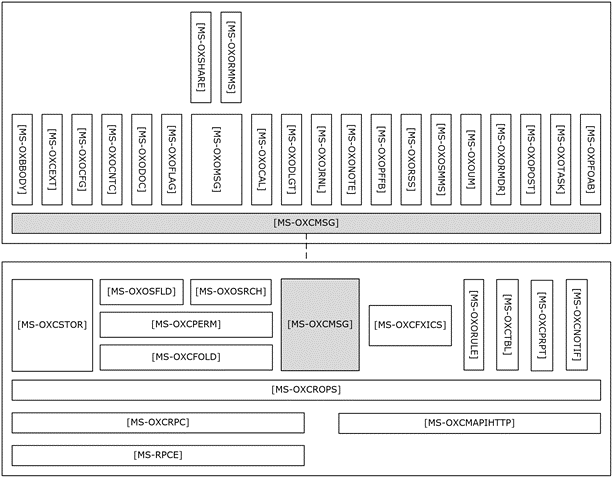 The hierarchical relationships between the ROP storage and retrieval protocols are illustrated in the following figure, in which each protocol is represented by its specification short name.